Come join us for a morning in the fields with professional bird hunters and champion certified bird dogs on hand to help the pheasant hunt. We meet at the game farm; have a quick breakfast with instructors on hand to go over safety precautions and equipment tutorials, ensuring everyone has a safe, enjoyable experience. 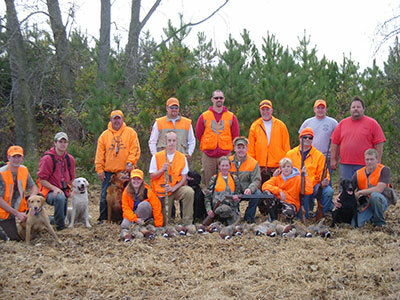 Bird packages are provided and placed by Pheasant Run Preserve, LLC.